A proposed new nationalisation programme in Saudi Arabia is expected to create more than one million jobs for its citizens over the next 15 years. The programme will come up for voting in the Shoura Council this week, local daily Saudi Gazette reported. Council member Abdulrahman Al-Rashid told the paper that the new programme will promote small and medium enterprises, mobilise local manpower, empower local investors and make use of local raw materials. “The plan aims to develop a Saudi workforce which is skilled and educated enough to power the wheels of production. It envisages projects to cut down foreign imports and increase national output,” he said. “The country’s dependence on oil revenue has decreased from 13 per cent in 2009 to 8 per cent in 2013. By empowering and developing local industries by increasing productivity, unifying standards of measurement and regulating prices, the kingdom will be able to become a fierce competitor in the global market,” he added. Under the plan, priority will also be given to Saudi contractors for infrastructure projects. Foreign contractors will be obliged to buy equipment from Saudi manufacturers or from Saudi representatives of international companies, Al-Rashid told Saudi Gazette. They will also have to give their Saudi partners a minimum of 30 per cent in profits. The proposal also includes the formation of a high commission for the nationalisation scheme. The commission will include members from the Ministry of Commerce and Investment, the Ministry of Finance, the Ministry of Economy and Planning, the Ministry of Energy, Industry and Mineral Resources, and the Ministry of Labor and Social Development, he said. It will also include representatives of Saudi Aramco, SABIC, Maaden, Saline Water Conversion Corporation, the Saudi Electricity Company and three businessmen from the private sector. Saudi Arabia has been aggressively pushing to nationalise its workforce to counter growing unemployment rates. The country’s unemployment rate stood at 5.6 per cent in January. However, youth unemployment is predicted to increase from 33.5 per cent last year to over 42 per cent in 2030, according to a new report by Bank of America Merrill Lynch. “The MENA region has one of the highest rates of youth unemployment in the world where many young people therefore end up in informal work or inactivity,” the report said. 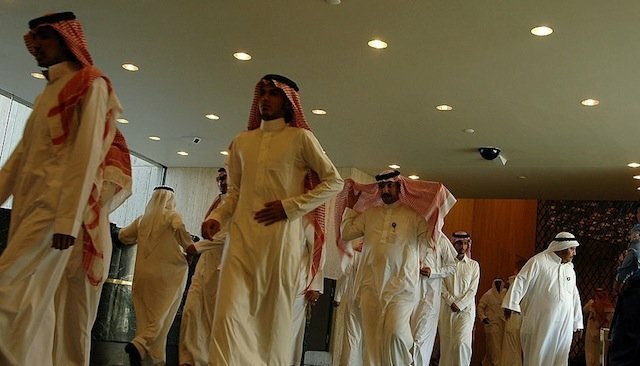 In August, it was reported that Saudi Arabia’s Ministry of Labour and Social Development is in the process of producing six projects to increase Saudisation in the labour market. Last month, it was also reported that expatriate staff aged over 60 years will account for two expat employees under the kingdom’s Saudisation (Nitaqat) programme. The Nitaqat system is a scheme that penalises companies based on the percentage of its expatriate employees and was put in place to increase localisation and reduce unemployment in the kingdom.